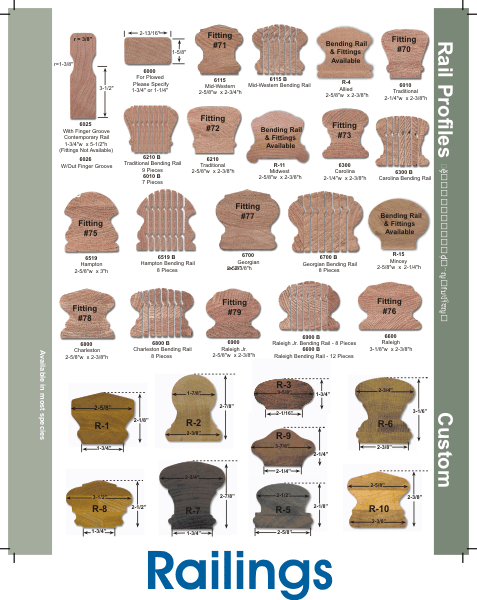 Poplar is typicaly a stock item and is normally shipped immediately. 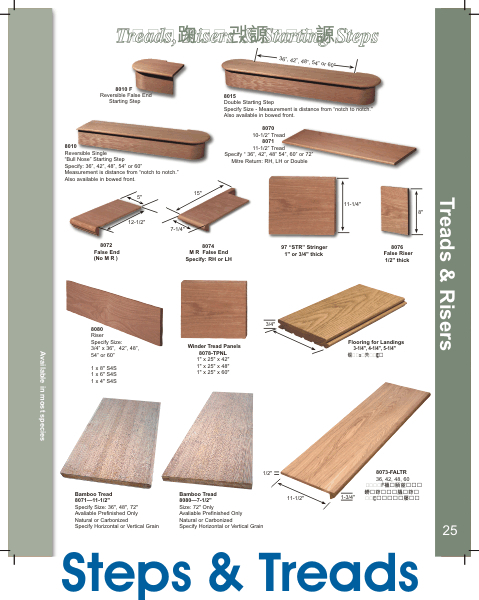 Red Oak is typicaly a stock item and is normally shipped immediately. Maple is a special order item and is normally shipped in about 2 to 2-1/2 weeks. 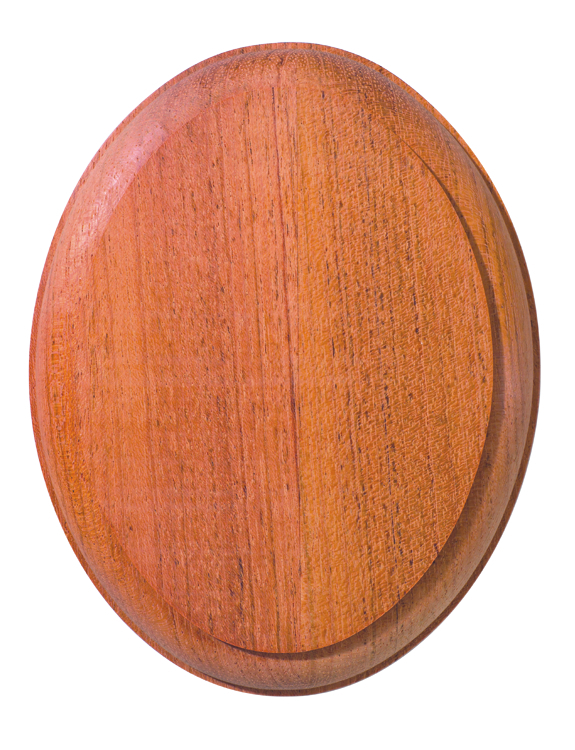 Brazilian Cherry is a beautiful reddish brown wood with a golden luster.It is a very hard, strong and heavy wood. 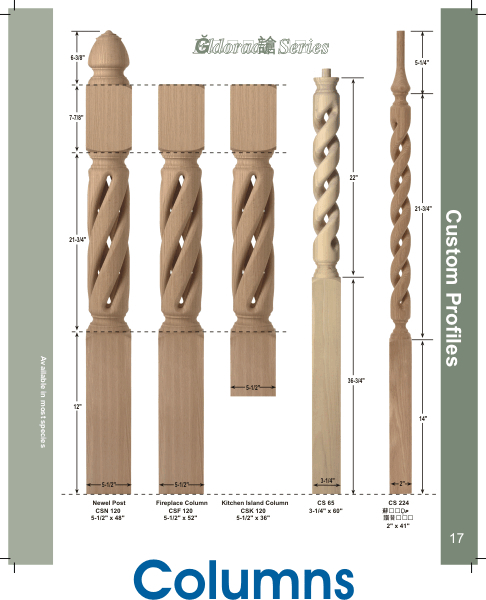 Nailing into it may require pre-drilling. Brazilian cherry is used for furniture, cabinetry and because of its density, it is used for flooring and stair treads. 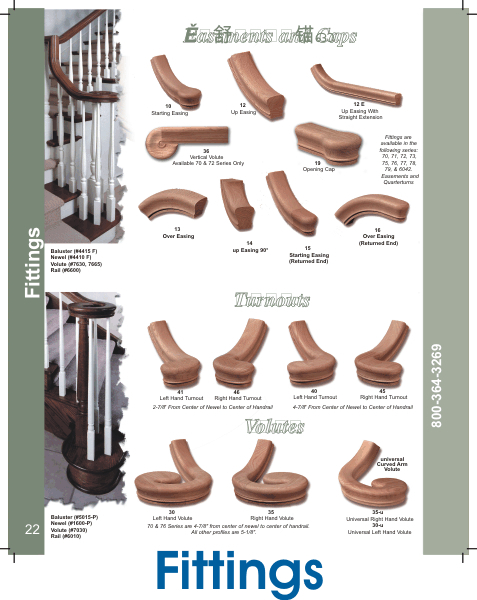 Its durability makes it an excellant choice for stair components, as it resists dents & scratches. Pricing is higher than the maple. 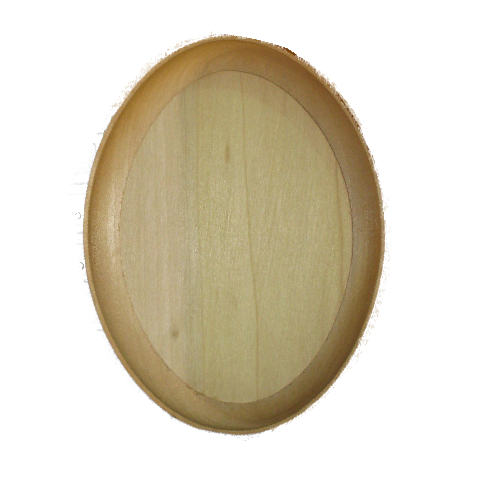 Brazilian Cherry is a special order item and is normally shipped in about 2 to 2-1/2 weeks. 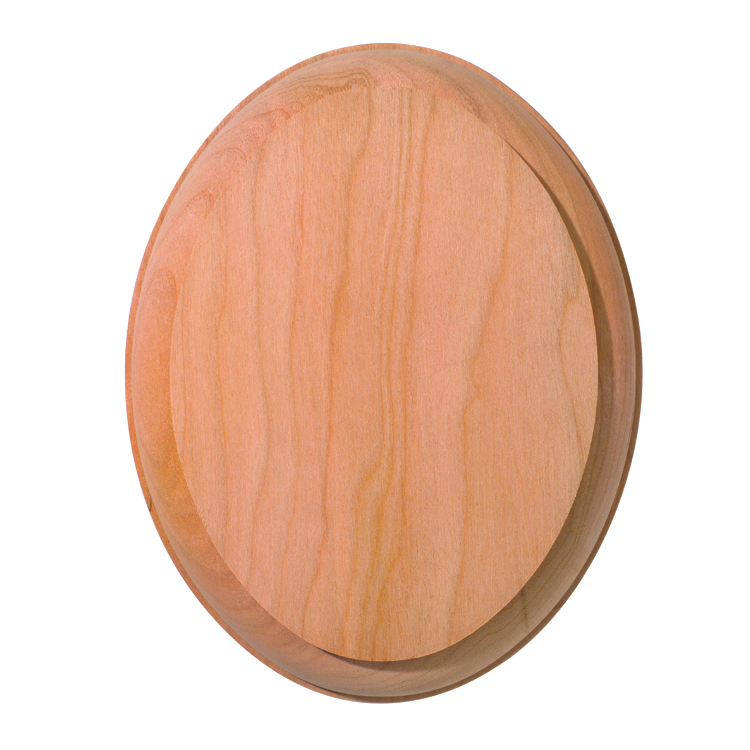 Cherry is a fine grained hard wood with natural pink colorations, typically enhanced with medium to dark finishes. This is definately a very rich looking wood, and is used with formal & traditional (very fine) furniture styles. 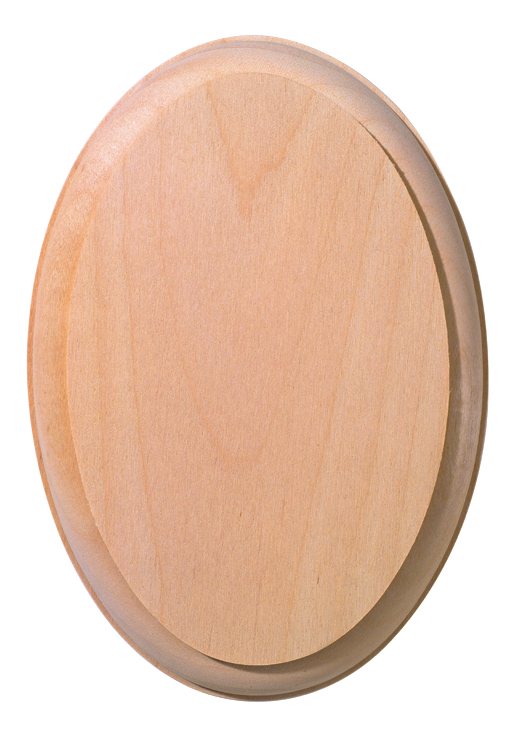 Cherry is a wood that stands out from the rest. 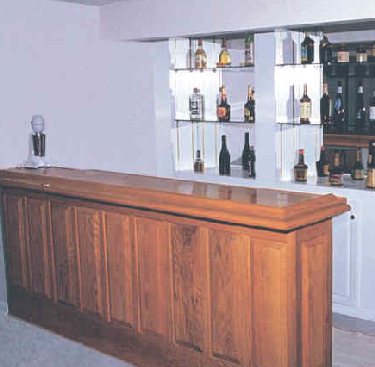 Also a smooth texture wood, and when finished properly, it can have a very smooth as glass finish.Polishes very well. 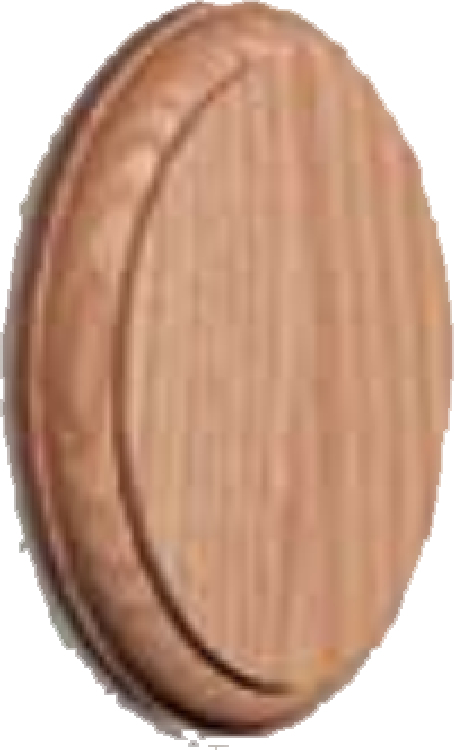 Often maple is used as a cherry substitute for pricing purposes. Cherry is priced higher than the above woods. Cherry is a special order item and is normally shipped in about 2 to 2-1/2 weeks. Mahogany is a special order item and is normally shipped in about 2 to 2-1/2 weeks.